Are you planning a conference, seminar, workshop or product presentation? How about hosting it at a location that is quiet and yet close to the city of Salzburg? 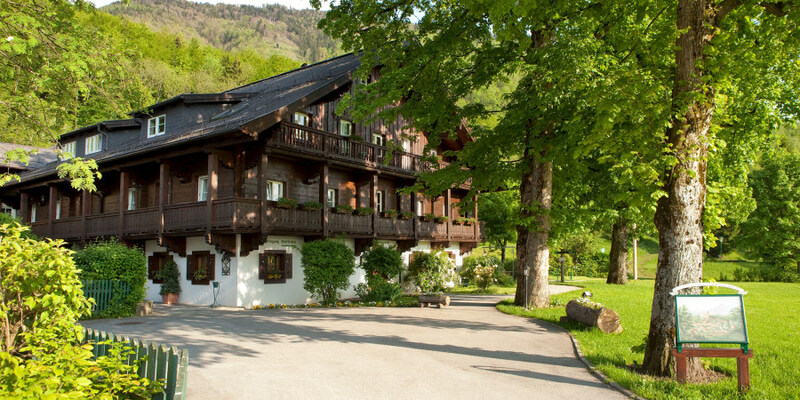 The Gersberg Alm hotel unites both of these advantages: hold your conference in a green setting and take advantage of the wide variety of activities in the city of Salzburg. Far from the noise of the big city, the Gersberg Alm's comfortable atmosphere allows you to work effectively and without stress. Perfectly trained staff take care of you and your guests with typical Salzburg hospitality and a personal touch. Do you have special requests for your corporate event? Our team will be happy to help. How about a coffee outside? Our sprawling garden with its lovely outdoor dining area, the cosy restaurant, and our ninepins bowling alley offer plenty of room for evening events at the hotel. The nearby Salzkammergut region and the city of Salzburg have other possibilities in store: relaxing dinners, challenging team building activities, or exciting excursions await you near your Salzburg conference hotel. Are you planning a conference or seminar in Salzburg? Contact us – we will be happy to prepare a non-binding offer for you. Or would you like to see our premises before you decide? Call us to arrange a viewing – we will be happy to help!